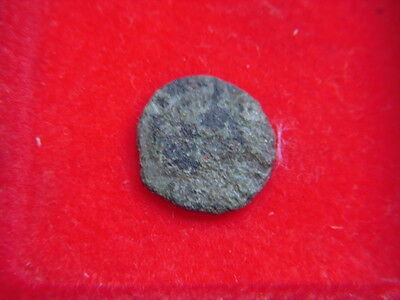 Ancient Celtic Bronze - N.w. 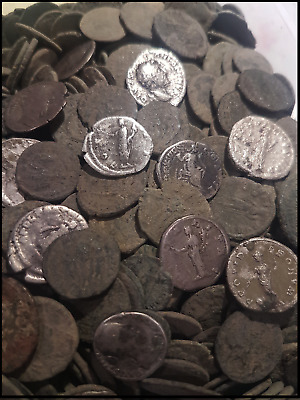 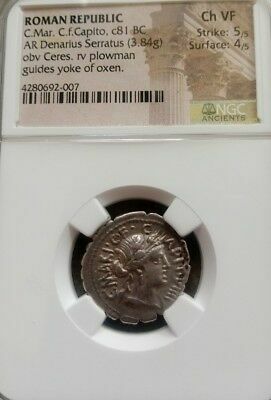 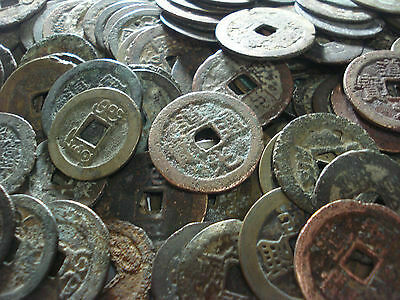 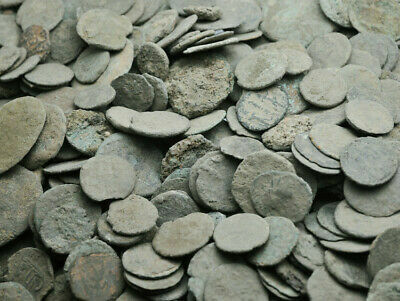 Gaul - Senones 100-50 B.c. 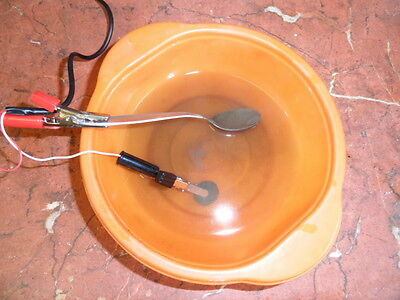 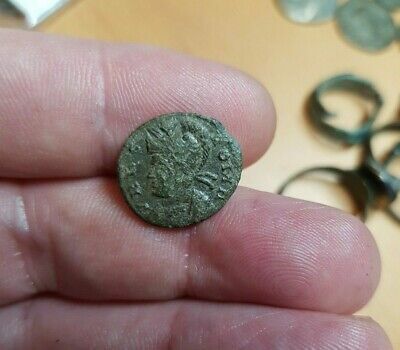 ANCIENT CELTIC POTIN - N.W. 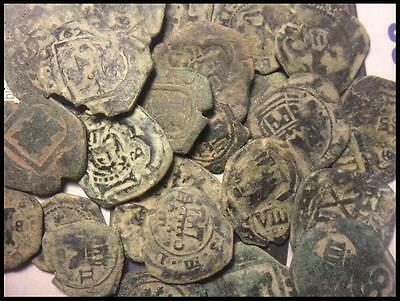 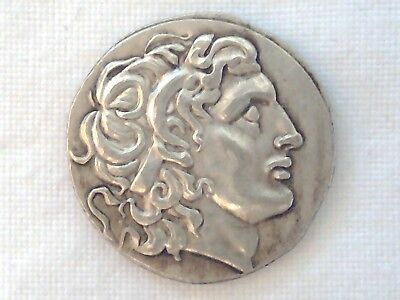 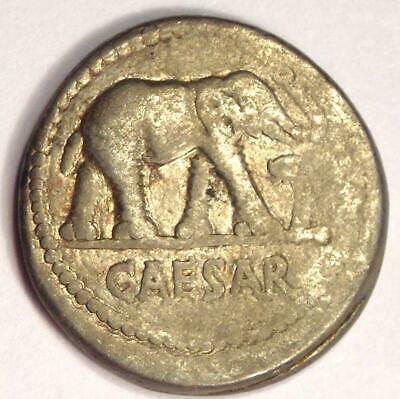 GAUL - SENONES Circa 100-50 B.C. 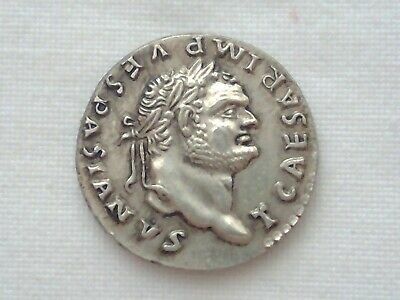 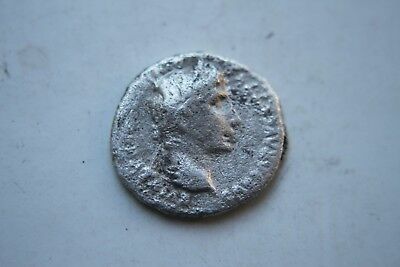 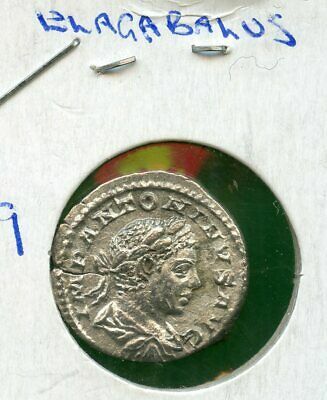 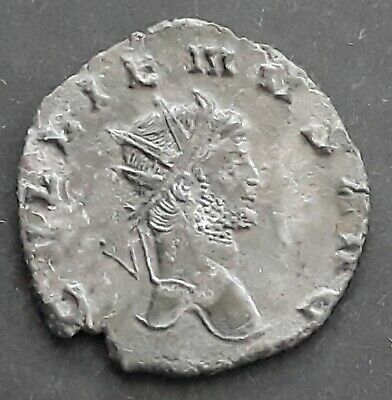 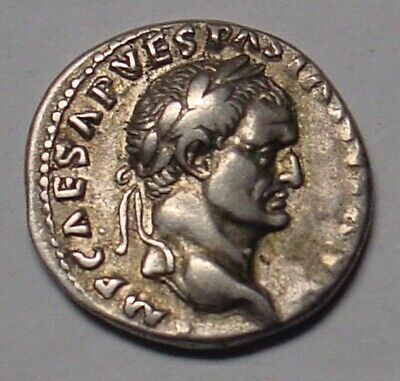 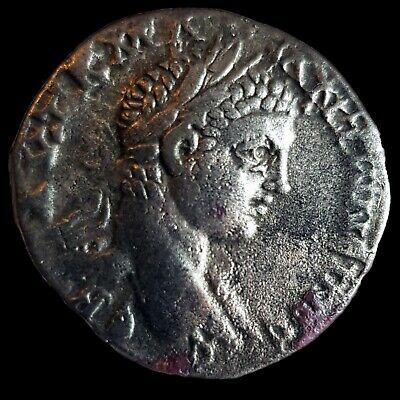 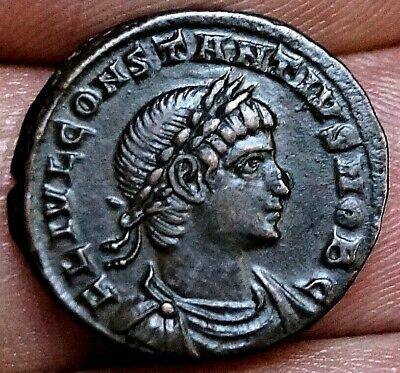 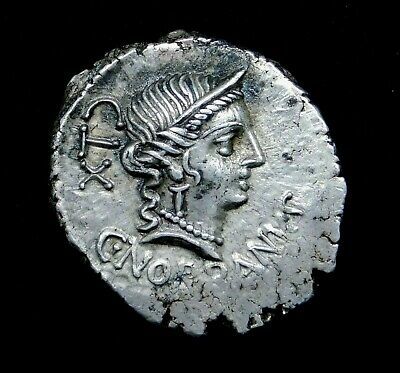 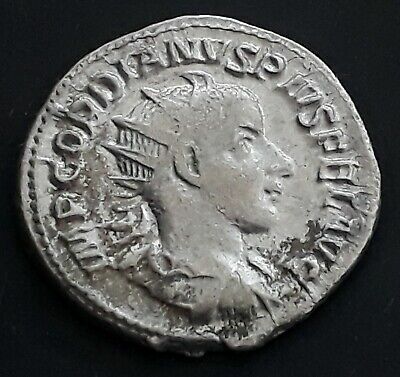 ROME - TITUS (79-81AD) silver denarius, Very Fine, scarce ruler. 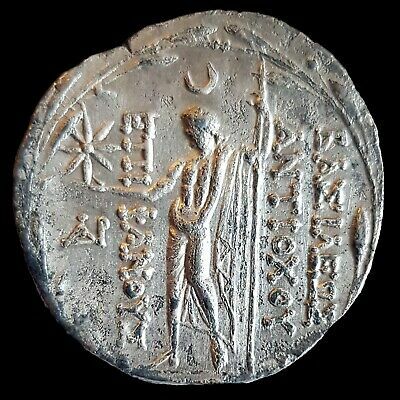 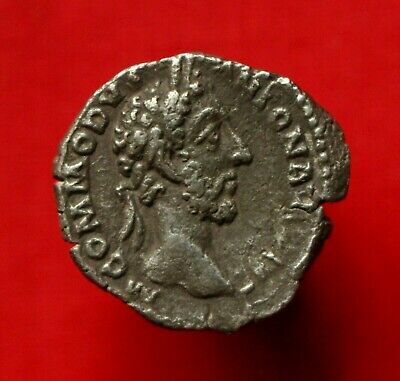 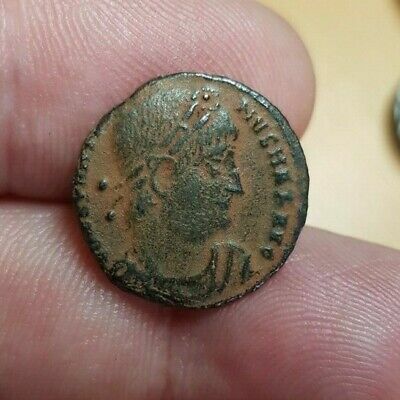 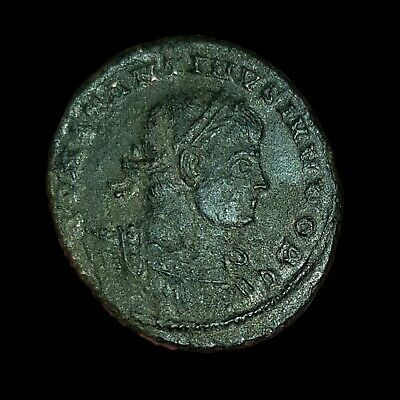 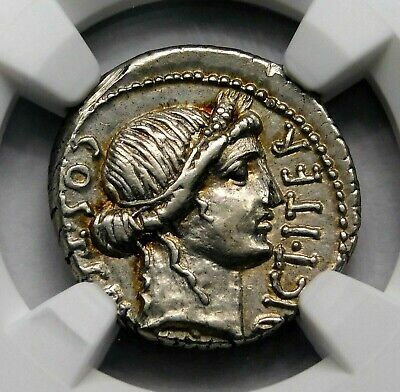 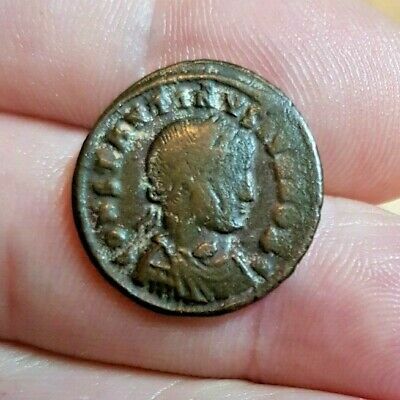 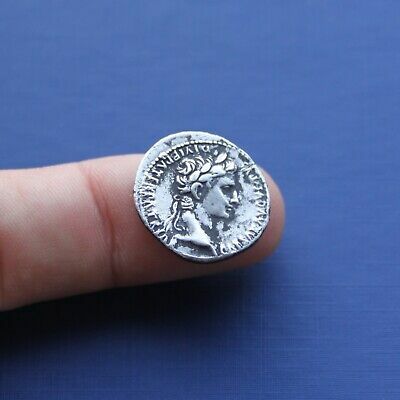 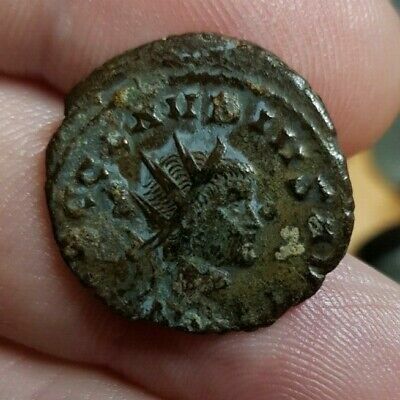 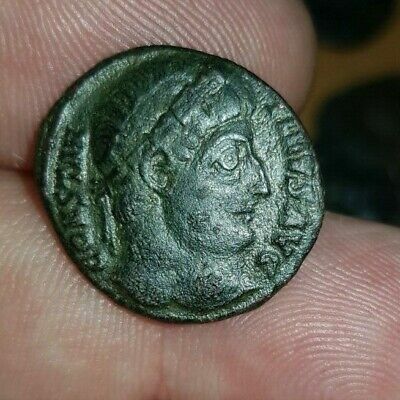 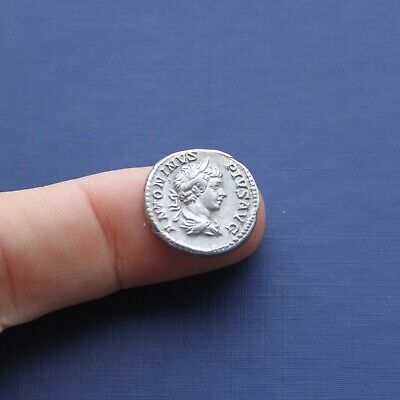 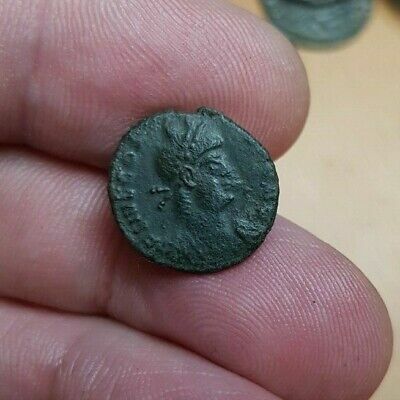 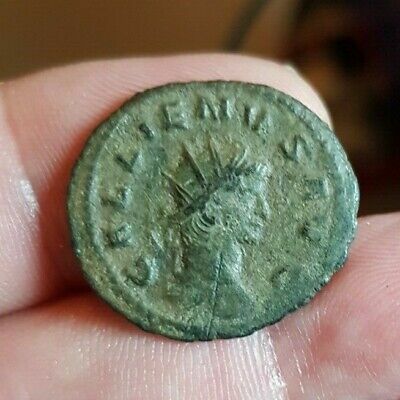 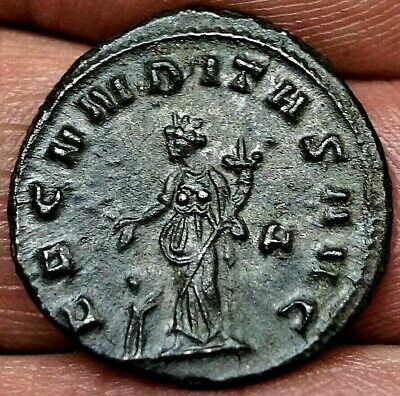 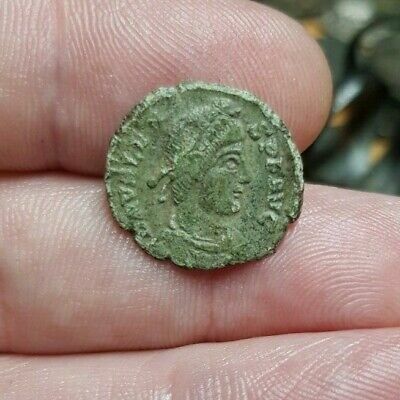 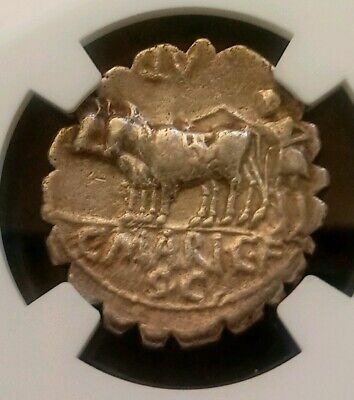 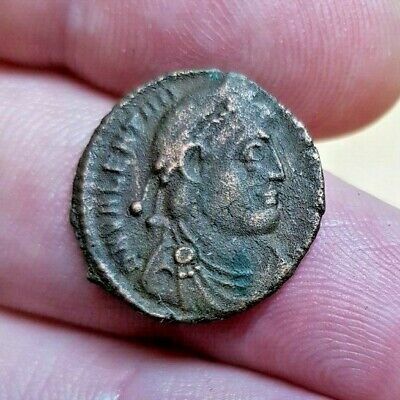 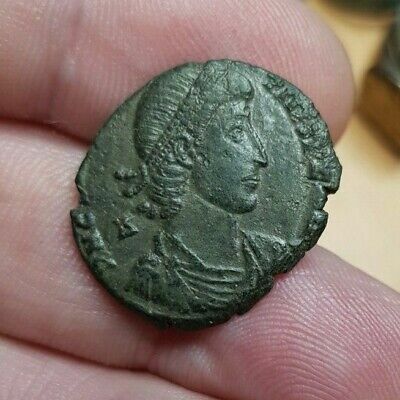 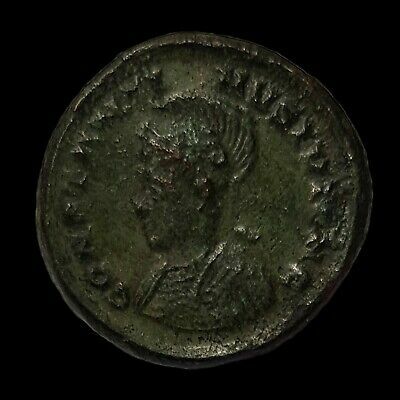 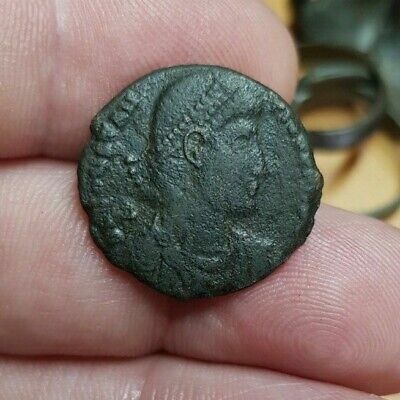 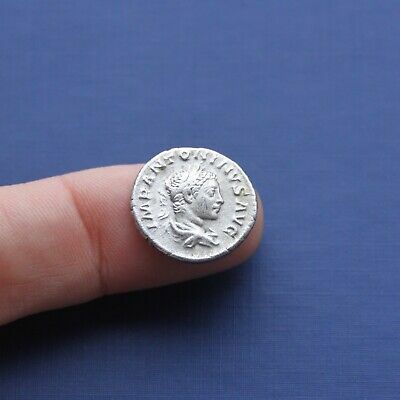 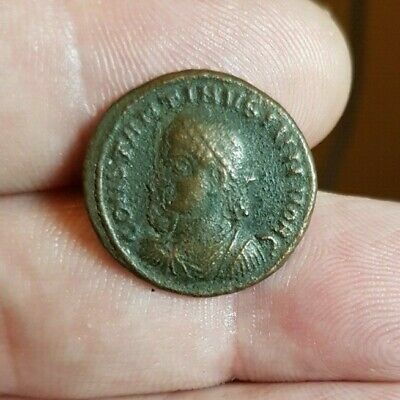 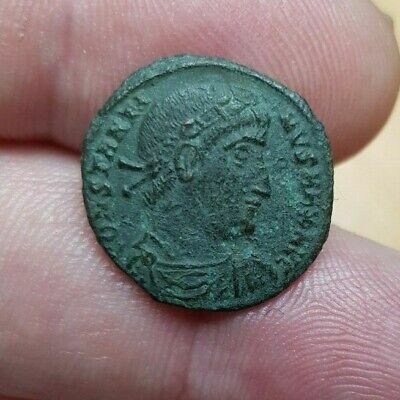 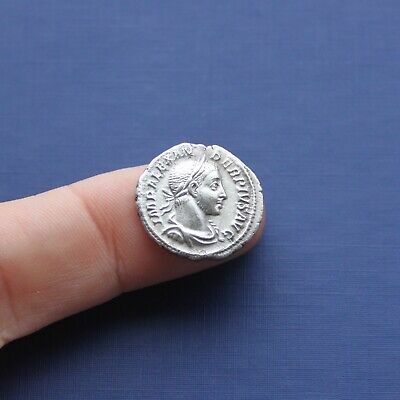 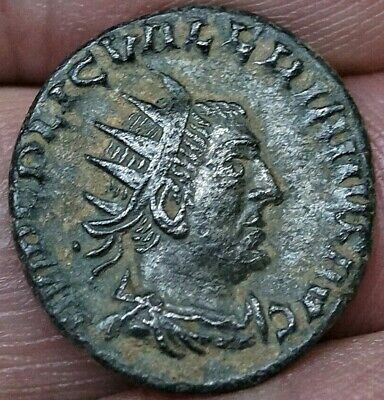 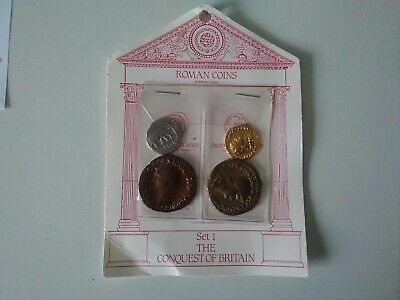 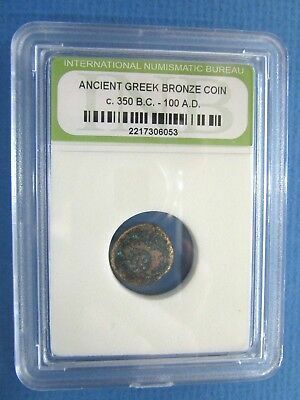 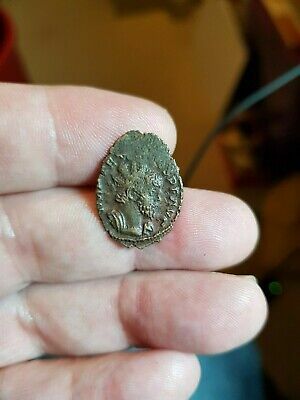 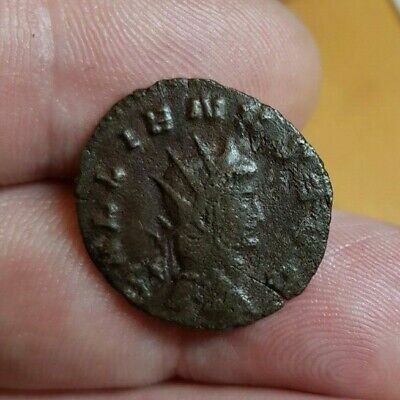 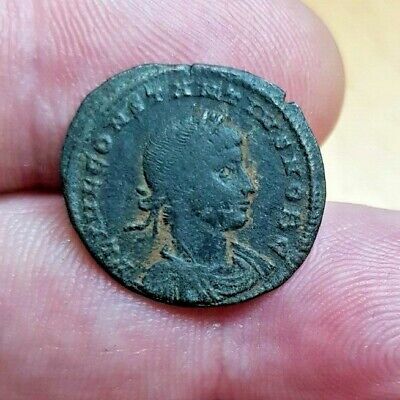 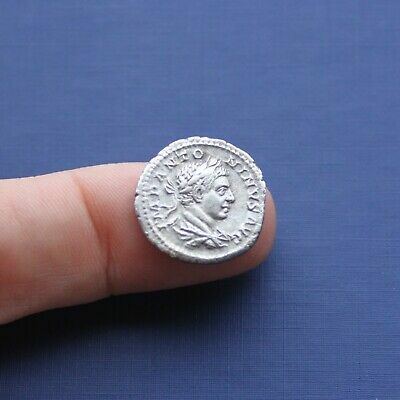 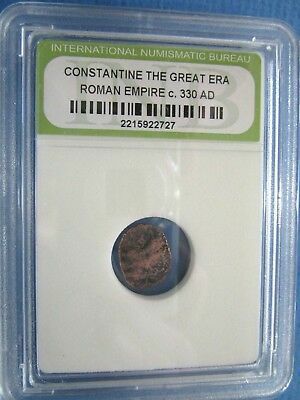 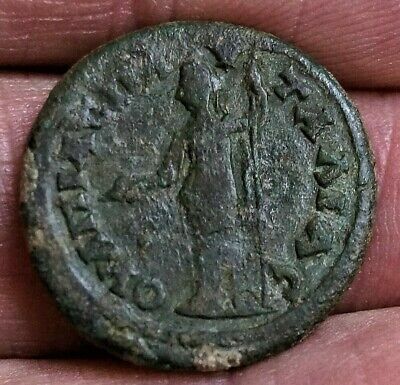 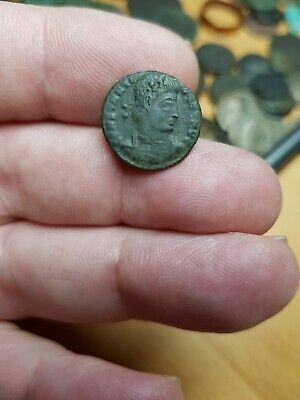 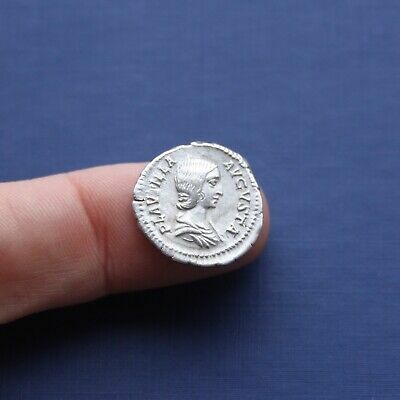 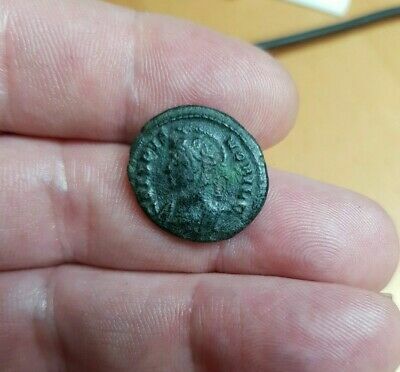 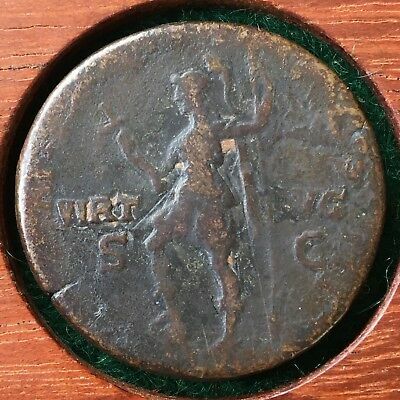 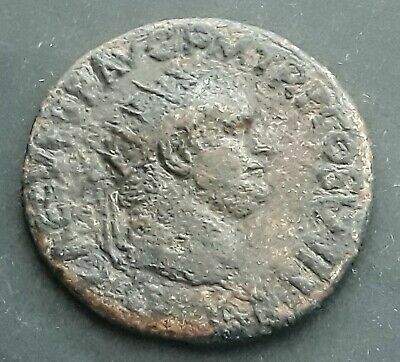 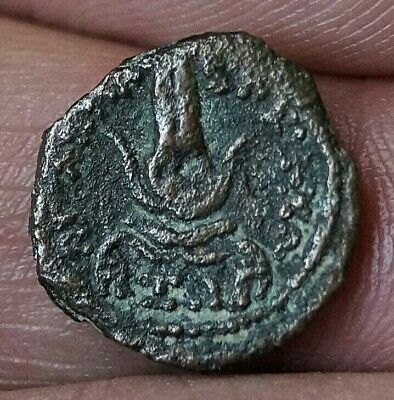 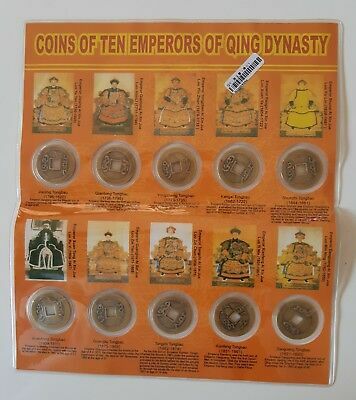 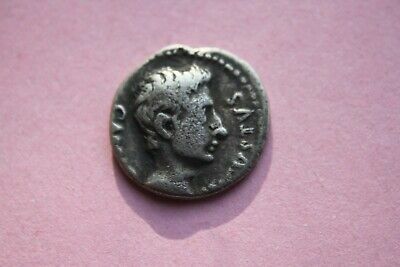 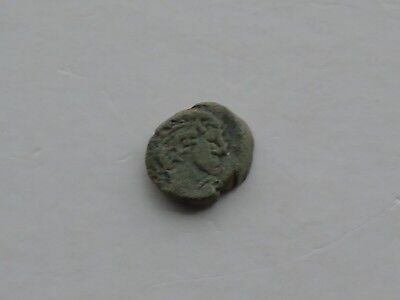 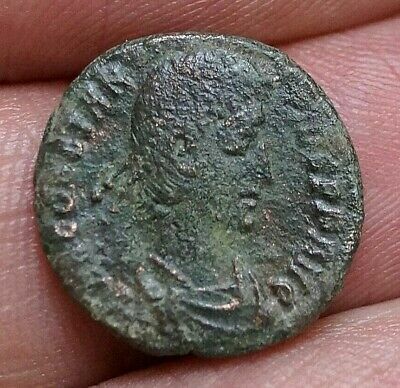 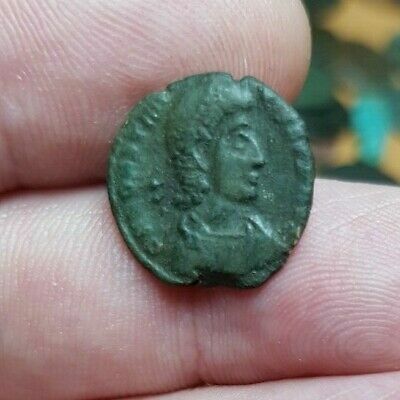 Miniature Ancient Miniature Coin with Bust 8mm 0.93g, Roman? 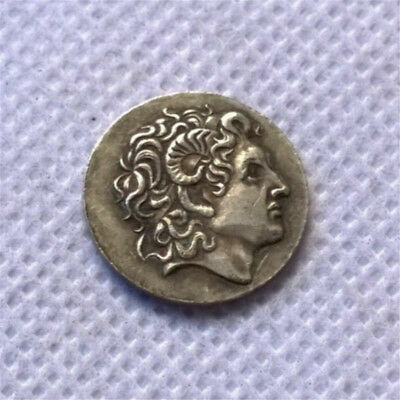 Greek? 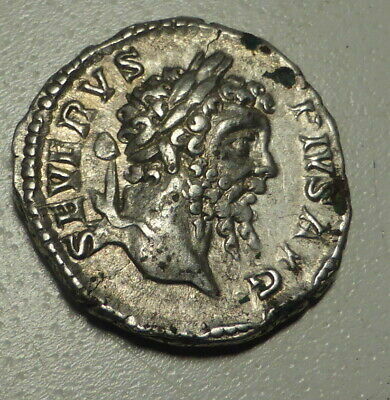 Roman Empire. 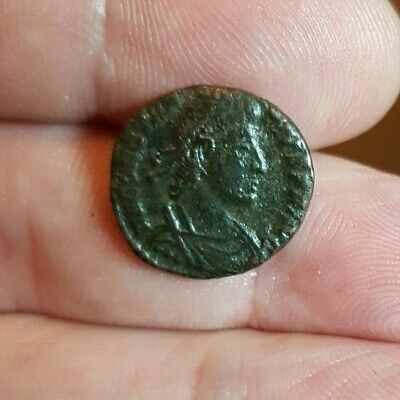 Hadrian 117-138 AD, Sestertius. 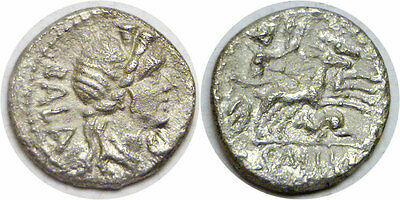 Virtus Reverse. 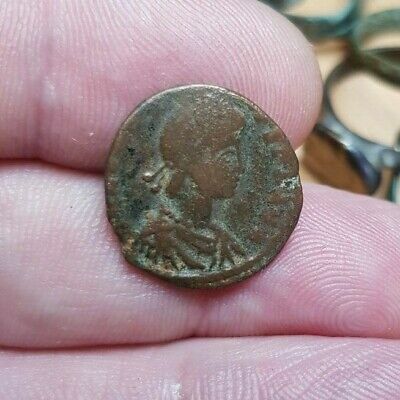 31mm. 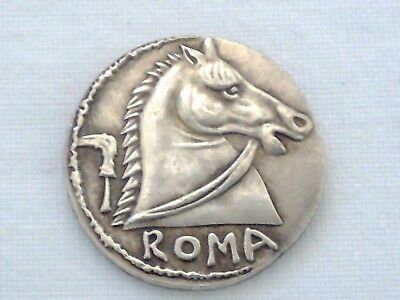 Roman Empire. 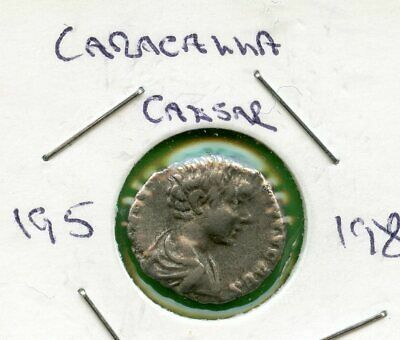 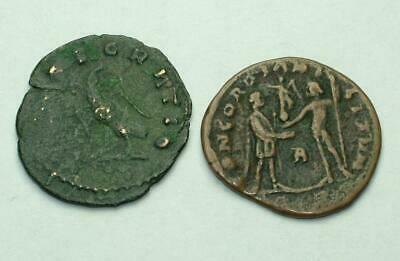 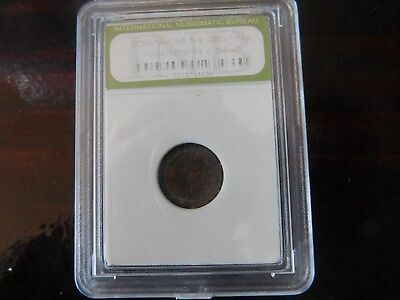 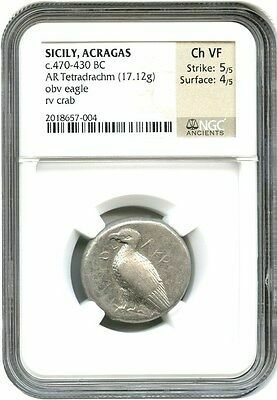 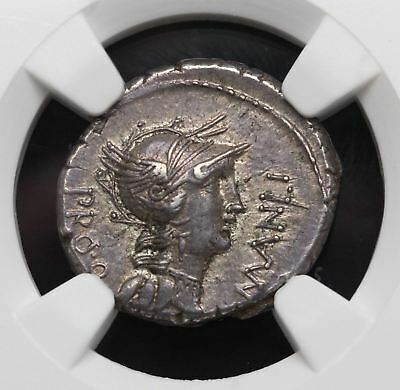 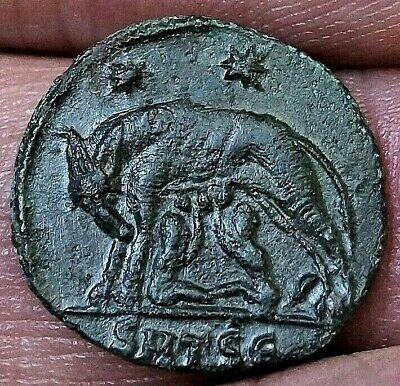 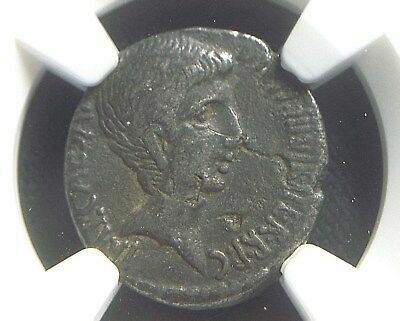 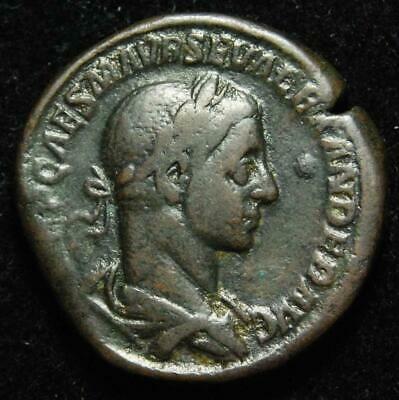 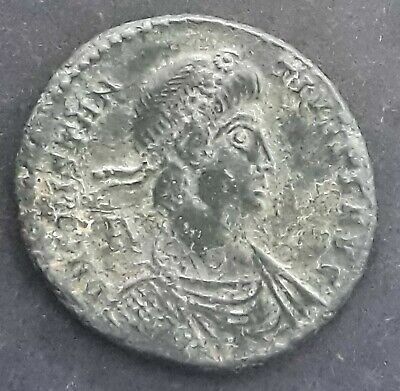 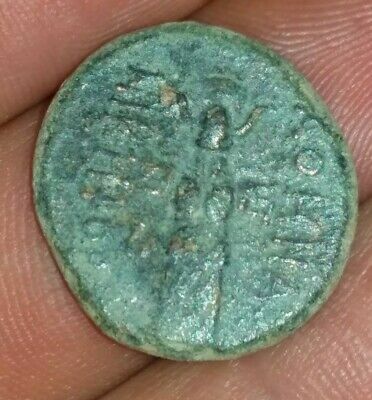 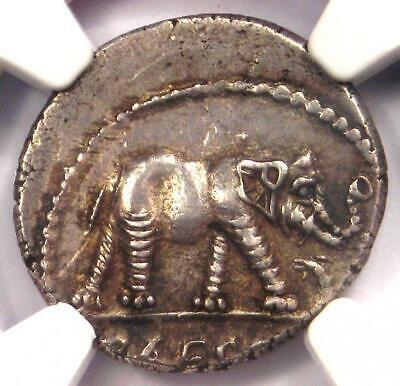 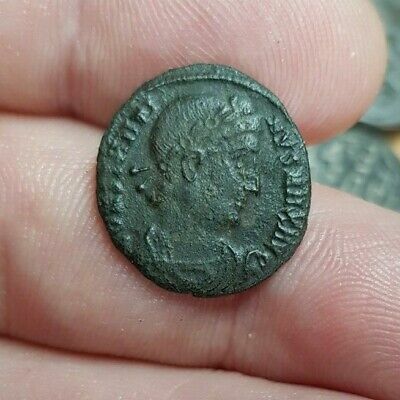 Tiberius Caesar, Countermarked AE Coin. 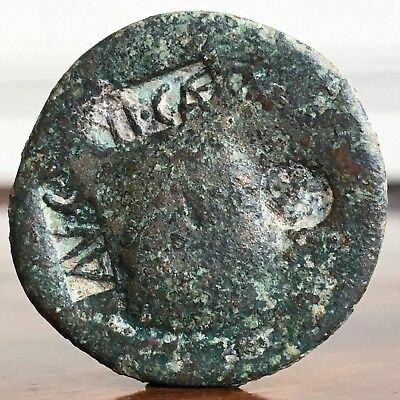 TICAE AVG.